While attending law school in San Francisco, Ms. Sullivan learned the ropes as a law clerk in the fast paced environments of the Public Defender's Office in San Francisco and Alameda. Following graduation in 2011, Ms. Sullivan accepted a post-bar position at the Solano County Public Defender's office. In 2012 Ms. Sullivan accepted a position as a Staff Attorney at a criminal defense firm and began working all manner of cases throughout the counties of Shasta (Redding), Trinity (Weaverville) and Tehama (Red Bluff). 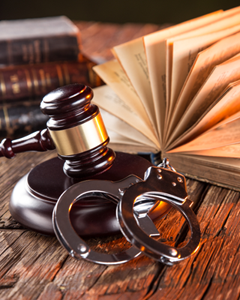 From misdemeanor DUI cases to Marijuana Cultivation and Violent Felonies including homicide, Ms. Sullivan gained invaluable experience as a Criminal Defense Lawyer throughout Northern California, developing a particular expertise in marijuana cultivation and transportation cases. After two years Ms. Sullivan set out on her own opening her law practices close to home in Lake and Mendocino County. Now Ms. Sullivan maintains offices in both Ukiah and Lakeport while still continuing to practice throughout Northern California.